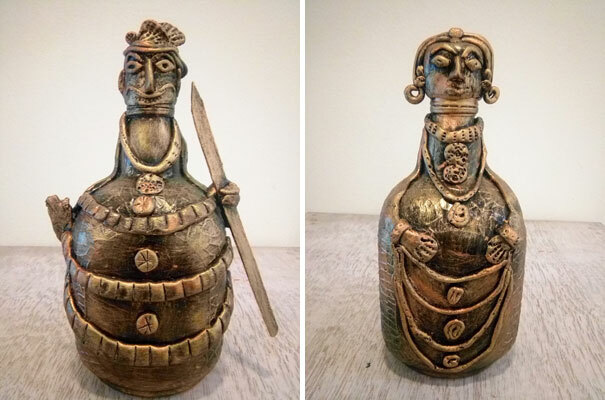 Tilting Art Gallery in association with Sona Sharma, an artist and painter will be conducting a workshop on tribal art painting in a bottle at Creaticity. Participants will get a chance to learn to paint a bottle with air dry clay and bring an antique look to the piece. All the participants will be provided required materials at the workshop and can take away the art piece created by them. Sona Sharma closely follows vastu and feng-shui details to ensure that the paintings bring an aura of health and prosperity to the person who owns it. Sona Sharma is an Arts Graduate from Rohilkhand University. An artist and painter, her artististic expressions do not follow any regular pattern. She paints according to her moods and thus, her work speaks for itself. Sona is also associated with “Little Artists Club”, a thorough fun-filled enrichment club for kids through artistic expressions. Sona Sharma has also featured in WoMumTV where her power story as a wonderful mom was captured in a beautiful message for inspiring fellow Mums!